Each Japanese letter of “Hiragana” symbolizes each Japanese sound. It is not like to Roman alphabet, nor like to Chinese letter. When each “Hiragana” is cut out from newspaper and magazine, because of its characteristic, these collected Hiragana looked like symbolized sounds. 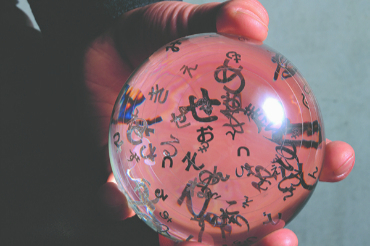 This work is made by putting these Hiragana into glass sphere. 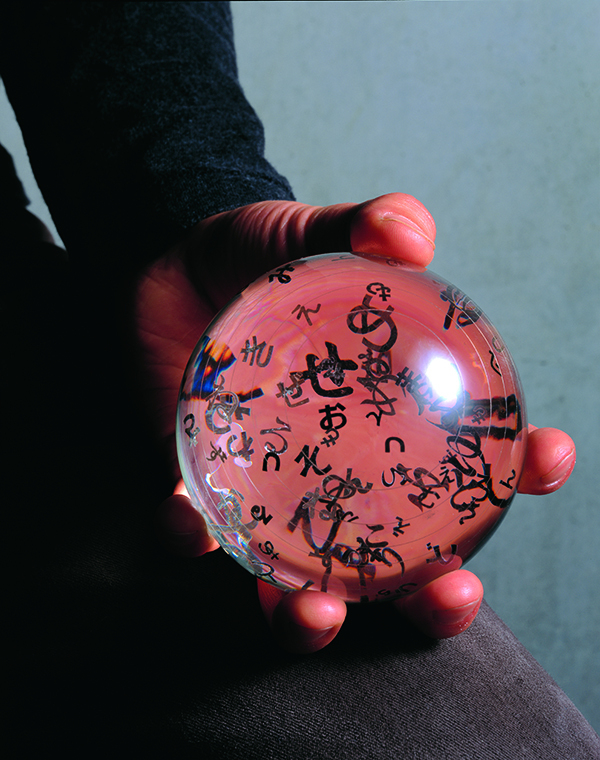 The work is call "oto-dama" meaning sound ball. Each Japanese letter of “Hiragana” symbolizes each Japanese sound. It is not like to Roman alphabet, nor like to Chinese letter. 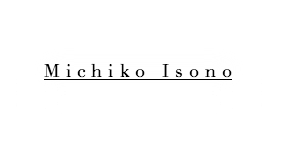 Japanese letter “Hiragana” looks like molecule of Japanese words. 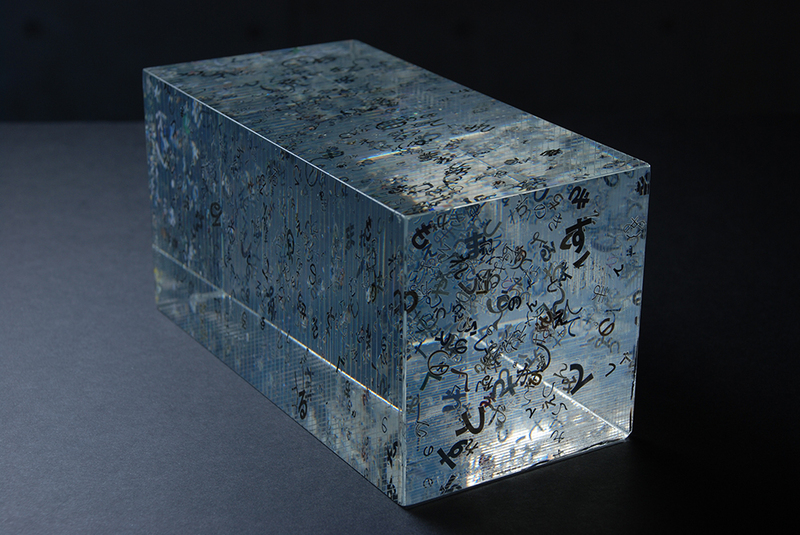 In this work, countless Hiragana is collected from newspaper and magazine and put into glass block to create symbolized block of intelligence. Each Japanese letter of “Hiragana” symbolizes each Japanese sound. The rice is principal energy source of Japanese food. 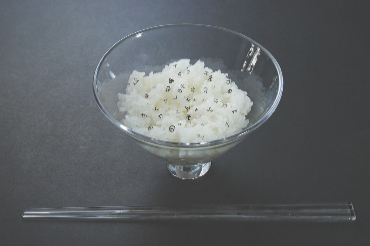 The work is about to eat the principal energy source of rice with Hiragana as a seasoning.